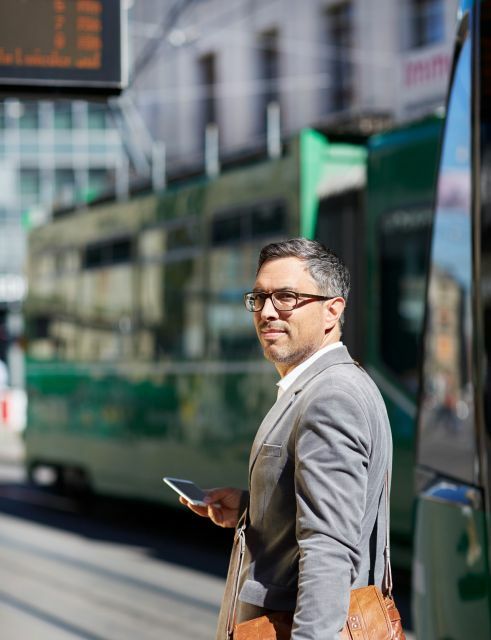 With the Job Ticket, companies have a valuable means to help motivate employees to switch to public transport. More than 30,000 employees in the Basel region have already taken advantage of this offer. Road traffic is growing steadily, with the result that parking spaces are increasingly difficult to find. Some 60 well-known businesses in Greater Basel have already succeeded in launching the Job Ticket. Companies including Bell, Basler Versicherungen, Birkhäuser, Claraspital, Coop headquarters, Globus, IBM and DHL have all taken up the fight against congested roadspace and scarce parking. They do this by allowing their employees to travel to work on public transport – all at the young person’s reduced rate. Not only do these companies offer their employees a lucrative fringe benefit by relieving congestion on our roads, together they also make a substantial ecological contribution to the region. The job ticket is available to all companies with more than 100 employees. Like the U-Abo, it is valid without any restrictions to time or location throughout the entire TNW network. This means that employees can use the Job Ticket for both work and leisure. All at an unbeatable price. In order to take advantage of this offer, employees of companies registered in the scheme pay only CHF 53 per month or CHF 530 a year. This compares with the regular adult tariff of CHF 80 per month or CHF 800 a year, with the difference being paid by the employer, a benefit of CHF 27 to each employee. All supplementary costs are borne by the TNW when new Job Ticket subscribers join up, with the employing company only needing to pay the original one-time fee calculated when the company joined the Job Ticket programme. ...employees, because they can take advantage of the whole TNW network at the young person’s reduced rate. ...companies, because of an attractive employee fringe benefit that also eases expensive parking problems.